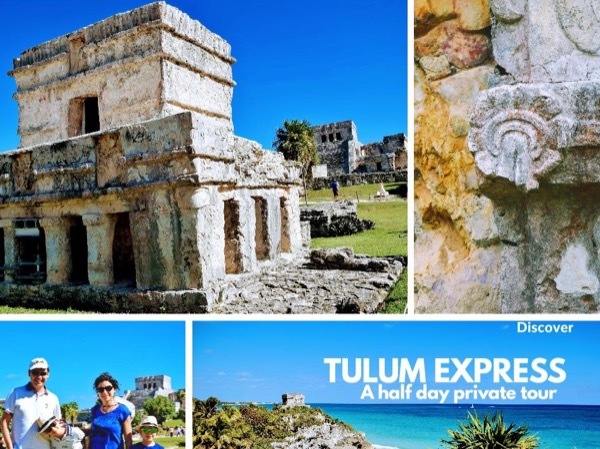 About Fernando L. Message Fernando L.
Tulum Half Day Private Tour. My two teenage sons and I enjoyed a fantastic day with Fernando, who is friendly and very knowledgeable about the history and culture of Quintana Roo and the Yucatan. He knew the right time to get to Chichen Itza to avoid the crowds (early) and showed us parts of the site that many of the other tours skip. He took us through Valladolid and brought us to a charming local museum dedicated to the history of the city. We ended the day at a spectacular family-run Cenote far from the tour bus crowds. Fernando was an excellent communicator with setting up where to meet and what time. He emailed us before our trip to firm up plans. The snorkeling was AMAZING and he knew exactly where to take us and also knew to go early enough that we beat the other boats to the reef. Very knowledgeable fisherman as well. Great experience...thanks! TOUR GUIDE RESPONSE: Thanks a lot Scott I hope you pass a great time and we wair for you next. Year and we go all day fishing..
TOUR GUIDE RESPONSE: Thanks again Emma. Was a pleasure for me show you guys a little bit of mexico. See you the next year. Greetings from mexico. Fernando was one of the best guides I have ever had! I have traveled the world and Fernando was simply amazing. So well spoken, so knowledgeable and incredible kind and accommodating. He knew how to avoid the crowds and really have a private and authentic experience. 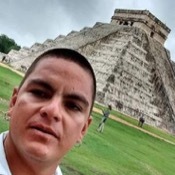 I would recommend Tours by Locals and especially Fernando for ANY tour you want to do in Mexico. Thanks for having Fernando as one of your best guides. He made friend's 50th birthday trip even more spectacular. TOUR GUIDE RESPONSE: Hi kacy. Thanks fir your hi ranking. I hope ypu really enjoy your day with me. It was a pleasure show you a little of my country. See you the next year. Greetings.